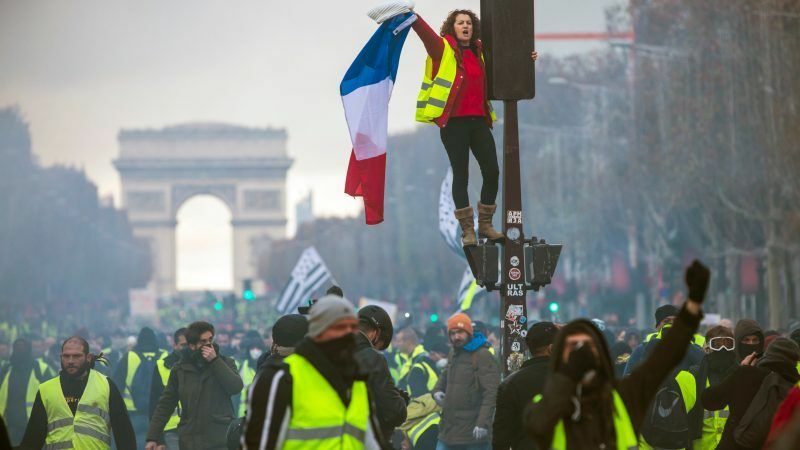 The unrest, initially focused on the French carbon tax, – which added about 10 euro cents to the litre of petrol and diesel – reached new heights in Paris over the weekend when police clashed violently with thousands of demonstrators on the Champs-Elysées. Greens have retorted that the ecological share of fuel taxes is minimal compared to the overall tax burden on petrol and diesel. Alongside French President Emmanuel Macron, they argue that taxing polluting fossil fuels is necessary in the transition to clean energy. “From the moment we consider that fossil fuels are the enemy of humanity, we must encourage people” to switch to clean energy “by giving a price signal,” Hulot replied to the “yellow vests” spokesperson. And in order to soften the impact on the poorest, measures should be taken to reduce their energy consumption, Hulot added. “Do not lay the blame on the ecology, put it on the taxation burden, put it on tax inequality – this is what we have to fight,” Hulot retorted in his first live TV appearance since his resignation last August. Still, the “yellow vests” movement has struck a chord. In Europe, the debate on the “just transition” is gaining momentum in the run-up to the United Nations’ annual climate conference which opens next week in Katowice, Poland. Earlier this month, Members of the European Parliament voted in favour of a €4.8 billion Just Energy Transition Fund in the EU’s next long-term budget (2021-2027), in order to help regions move away from coal and other polluting industries. “It’s a drop in the ocean but it’s at least a first step,” said Christine Revault d’Allonnes-Bonnefoy, a French Member of the European Parliament from the social democrats group (S&D). According to her, governments “cannot tax pollution on the one hand without accompanying changes” in terms of mobility and industrial change on the other hand. “Otherwise, we will continue to have discontent on the part of those who suffer the repercussions,” she said, calling for a comprehensive approach to sectors like the car industry, which are set to suffer the most from the energy transition in terms of job losses. “The ecological transition, for it to be accepted, it must be understood, it must be transparent,” Revault d’Allonnes told EURACTIV. To be sure, the energy transition will affect some industrial sectors badly. “The impact on jobs will be important. And we must take care of those workers who will be affected” by the decarbonisation agenda, said Montserrat Mir Roca, from the European Trade Union Confederation (ETUC). “If the decarbonisation agenda leaves people behind, it will be rejected by the citizens,” she told a EURACTIV event earlier this month. But the European Union has limited competences on social policy. And EU member states are often left on their own when it comes to dealing with the social consequences of climate policies that are often designed at the European level. “The social aspect at European level is very difficult because there is no treaty on social Europe. It’s a big lack, a big void,” says Karima Delli, a French Member of the European Parliament for the Greens political group. “Why are yellow vests on the street? Because it is primarily the poorest who will be victims of climate change,” Delli told EURACTIV, saying she supports “a popular ecology” that takes care of the weakest first and “makes sure the better-off participate to the collective effort,” for example with the introduction of a tax on kerosene, she said. Beyond taxation, Delli believes a global vision is needed for sectors like the auto industry, which is going through a phase of profound transformation brought by electrification and growing competition from China, which is moving faster than Europe on the deployment of electric vehicles. “Member states must understand that the climate battle is the battle for jobs,” Delli said. “We must change course, enter the 21st century,” she stressed saying too much money has been poured into industries that are not fit for future challenges. “Today, everyone must have in mind that the sectors where there will be the most job creation are the sectors of the energy transition,” Delli said, citing renewable energies, and energy-efficient buildings alongside electric vehicles and digital mobility solutions. money at all and I think these people are being lead by a demon. Data via James Hansen, world’s most consistently accurate climate scientist. I missed the comparison here. So on the general note, if Renewable Fuels for transport are increasing general fuel costs then the system is wrong. The original inference for using Renewable Fuels was that their costs would be lower than the oil-based equivalents. In fact there is no reason why this should not be so. 1] when made from Wastes and Non-food crops costs around €urocents 19 to 20 per litre. Add to this the temporary subsidy to make these fuels and rebase the usage of use to be extended by allowing a maximum of blend of 95% Ethanol using Butanol (another Renewable Fuel, which costs barely €urocents 38 to 40 per litre to manufacture) to take in the residual 5% mixture then the appropriate costs to use would be lower than oil-based gasoline/petrol by over €urocents 45 per litre. Compare that to when they are made from Food Based Crops or land set-aside from growing foods or other ILUC options. The costs of the raw materials outweighs the than the sales product. So if therefore the brake was taken off the accelerator for giving a premium to the manufacturers of these. This costs barely €urocents 40 per litre to make (with funding backed by standard banking practices.) This can be used as a direct replacement for gasoline/petrol, and can be blended directly with (oil-based or petro-Diesel) Diesel to 42.5%.THe result here would be a sales beneficial price of €1-01 per litre for this “equivalent” bio-Diesel…and around €urocents 25 per litre. This can be made for considerably less than oil-based (petro-Diesel) Diesel – at an equivalent of €urocents 78 to 80 per litre and be used as a direct replacement or to augment current oil-based Diesel usages in HGVs, or Shipping and Barge use. Which can be made at a very reasinable quotient for barely €uro 2.00 per tonne using the same feed-stocks as above. 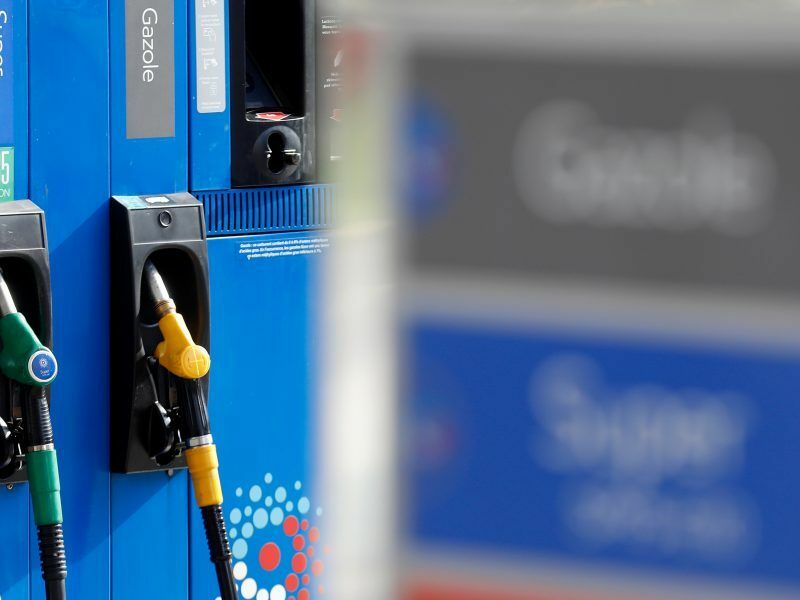 All that is needed is for these valued Renrewable Fuels to be sold forward without any restrictions on an upper usage boundary as cirrently used. 1) on average, one hydrogen refuelling station per week up to 2030, weighted toward the end. 2) on average, two hydrogen refuelling stations per week up to 2040, weighted toward the end. because while the truncheon maybe used in lieu of conversation………. Sound familiar? Mr Macaroon assumes that a flat tax is the way forward – maybe it is for those that can afford to drive large new cars. However, the opinion poll published in Le Journal du Dimanche points to something else: fairly paid jobs and a more equal society (if I had a euro for every book written on the social benefits of equality – at all levels in society including a reasonable measure of financial equality amongst citizens – I’d be a rich man – or er hang on a sec). The point is that the energy transition can deliver fairly paid and long term jobs – expressed another way: delaying the transition will delay fair pay. Macaroon equates a carbon tax with the energy transition – it ain’t. The simple reality is that Macaroon has his eyes on the wrong ball. Let’s look at the energy rennovation of the built environment and consider the super region of Nord Pas de Calais/Picardie – where I was delayed by the yellow vests. The 3500 jobs could be well paid – energy rennovation of buildings is labour intensive. I can state with certainty what Macaroon has done so far in this area: zero/nada/nothing. I can also tell you why this is the case: 3% & 60% – euro zone criteria i.e. member states are not allowed to fund the energy transition – apart from within their own budgets which have to conform to euro-zone rules. et voila! that’s why he whacked on the eco tax. 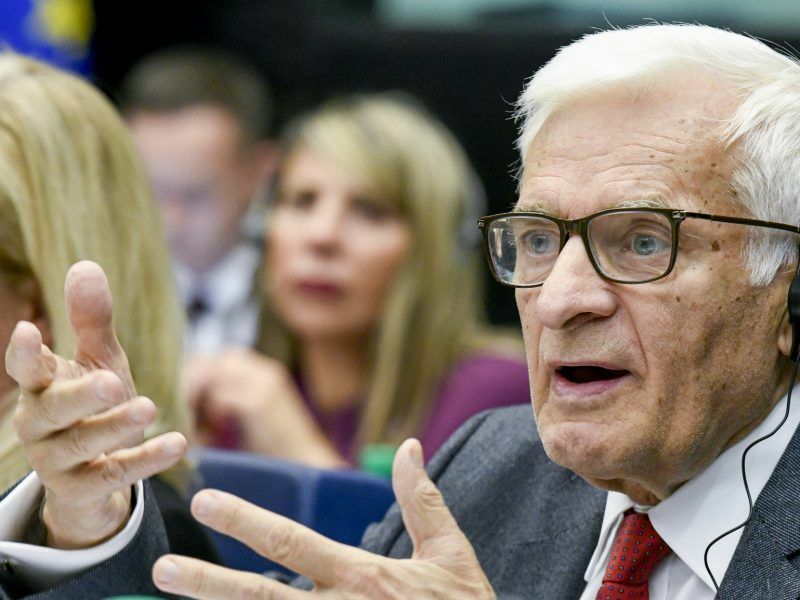 Of course readers will by now be familiar with the following refrain: why can’t the ECB, via the EIB fund the energy transition through “Green Quantitative Easing”. There have been endless papers on it from people far more prestigious then me…. & yet Angie and the gnomes in the Bundesbank clinging to their neo-conism ideology (my version of neo-liberalism – which I feel it correct since “the con” element embodies “confidence trick” which is what neo-liberalism is). My company (PWR) estimates that Europe-wide the energy transition will cost in the region of Euro500m per year for 25 years. In this context the EP vote for a €4.8 billion Just Energy Transition Fund is less than peanuts – its not even the salt on said peanuts. Digging down: “we must take care of those workers who will be affected” by the decarbonisation agenda, said Montserrat Mir Roca, from the European Trade Union Confederation (ETUC)” – there is a shortage of people to undertake the energy transition – indeed there are concerns (by the ECB oddly) that the energy transition could impact on inflation – driving it up – due to a shortage of…….workers. Thus, the “problem” resolves itself into having the right (trained0 workers in the right place. Pity Mr Mir Roca did not mention this aspect (training). In the case of Delli – only tangentially. As for Mrs Delli’s “visions” – well thanks luv – but I leave those to religious nutters : what Europe needs is a transition strategy coupled to an industrial strategy & that ain’t going to be delivered by Canate’s mob tomorrow because, as one EC observer noted to me – they lack the capacity. Which is kinda interesting in its own right. Doesn’t take much not to be more prestigious than you, Mr Parr. You comment on Euractiv, and are of the Autism spectrum with a hang-up for bananas. Thats about where you are, and calling yourself prestigious is overstepping the mark. Forgetting to state your real name does not go down well with many here. ?Are you real “”Re-update says””? Mr M Parr has a valid reasonable charge of issues and I do in fact support the logic of attempting to rectify the following…. €30,000 per dwelling sounds low though! What is well-paid? In the EU that suggests a €50,000 per year all in cost per person on average. If we assume a 5 year Target Programme then it would work. I could not find the word “prestigieous” in my response – why did you raise it? Why not address the points I made? I have no problem if you disagree with them – show me why I’m wrong. I have no particular problems with your posts on H2 – but in this article the main issue is (poor) people protesting against environmental taxes – which is fair enough – with macron deploying truncheons in lieu of a conversation – & the broader point: he is in a corner due to euro zone rules. Complicated ain’t it? Yes, indeed, I can see that I may have misread your comment. This is my mistake – I am always pleased to see other people comment here, and make an effort to care about the future of Europe (and indeed our planet) and also engage with what are often a fairly complex set of issues, rather than allow the whole thing to just degenerate as human society is so apt to countenance. I had read another comment of yours elsewhere and I think there is the danger of just Euro-bashing; where already we have Politico as essentially an anti-Europe publication – which creates a difficult environment to make progress considering the greater evils of industry lobby groups. If the European agenda is constantly on the defensive nothing will get done, and there is a huge capacity here for positive change – outside of commercial and narrowly-conceived opinions formed from within the less altruistic parts of the US, and the UK. We need Europe, we need decarbonisation, we need to stop worrying about the critical level of GHGs and the many consequences of this, which hardly need explaining. If we want to enjoy the present age, we should accept a sense of responsibility – I think this is worth more than the vague material progress offered by completely avoiding the issues we are now approaching. Progress is good – and the EU needs to start believing in the progress that a decarbonised society affords. Actually, just as a side-note – have you seen the very high (thermal) efficiencies now for hydrogen in conventional engines? This is about twice the efficiency of most internal combustion engines using petroleum or diesel. I mean, I know Porsche is renowned for being quite thirsty in terms of fuel requirements..I know that ULEMCo do conversions for larger vehicles because of space is needed for the hydrogen tanks. However, with these efficiencies (and/or dual fuel) hydrogen represents a means to decarbonise passenger vehicles also. Who knows, someone might want their car converted. I have not read the article yet but I think there is gap between policy-makers, those interested in energy, climate issues and the ordinary citizen on the ground when they see that they have to pay more. In other words, climate change, energy issues are not a public issue. People are more concern with their daily survival. The whole”ecological tax”narrative is just a big hoax. It is just a tax increase, plain and simple. They increase the tax because they need more revenue, and there aren’t many other ways to do that. Which leaves the question what they will do when the majority of people eventually drive electric vehicles. It only costs a fraction to run a car on electricity and additionally, there is no tax on it. None, zero. Consequently the government will lose a huge part of their tax base with no plan to replace that. The whole hypocritical”ecological” policy story will quickly fall apart as soon as they achieve their goal. The only way to compensate will be to tax electricity and increase road charges. Again, this is not about the environment it’s about government revenue. Want an easy way to earn money? Do a search for “Emini S&P Trading Secret”.